“Doris felt depressed. Her life was suppressed. She had no affiliation. Before civil rights and all those fights, pre ’68 there was no demonstration. So rather a hobby than a lobby, Doris Day decided to go for clay. Evolving as a kind of call and response, the exhibition features three artists who share an interest in the use and misuse of familiar forms and signifiers. Playing with association, and off the idea of causing influence, their practices relate to each other as if sparring in conversation, signaling the spirited exchange around language, concepts and materiality that occurs throughout the show. 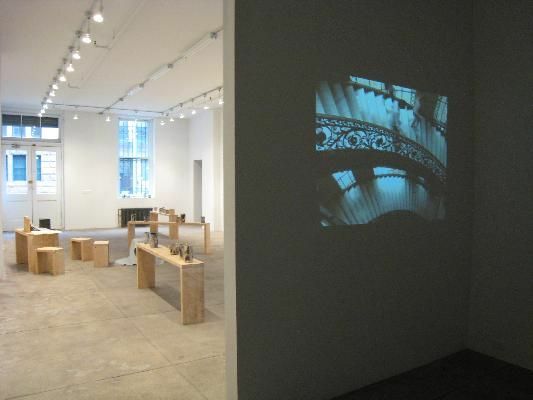 With a nod to the institutional critique originating in late 60s Conceptual art, Mario Garcia Torres’ short video, The Legacy of Jimmy Johnson (2006), gives account of a series of acts carried out in museums which are borne out of deference to the objects and spaces, but that take the guise of gestures against them. 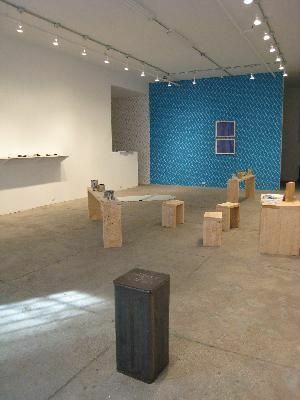 As if to challenge this lead, Stephen Kaltenbach’s framed blueprints, Room Cube (1967)—instructions for producing an intrusion into a space—are installed over Fia Backström’s Whitney Wallpaper (2008), which is designed using a positive and negative version of the Whitney online corporate identity color and the current version of the museum logo. Both works were first shown at the Whitney Museum, but forty years apart—one a physical intervention, the other a communication jam—and are now brought together for the first time to create the seed of a new proposition. Some works in the exhibition suggest echoes between the artists’ processes, such as Kaltenbach’s Artforum Ads produced from November 1968 through December 1969, which are predecessors to Backström’s A New Order for a New Economy – To Form and Content (A proposal to rearrange the Ads of Artforum) (2006-8) that was most recently presented at White Columns in New York. 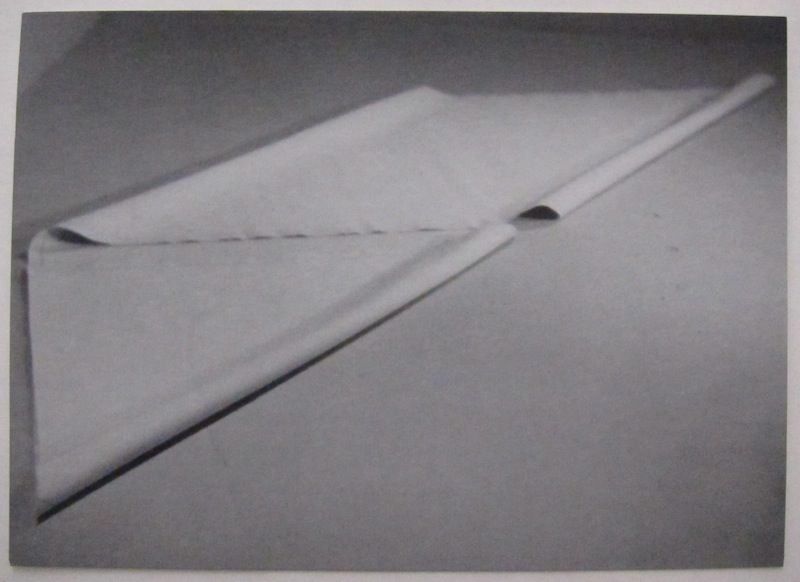 Other pieces signal the provocation of future influence, such as Kaltenbach’s Modern Drapery (1969), an instruction-based piece that is rearranged daily by the gallery sitter, which was first shown as part of the show Robert Morris curated at Leo Castelli’s warehouse in 1968, and is now the subject of an ‘unauthorized catalogue’ that Torres is currently producing. 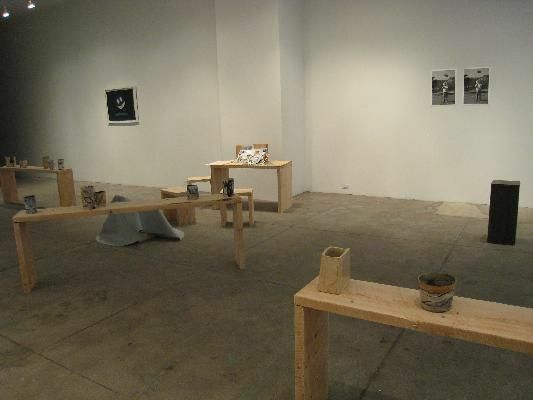 Other works include Pottery and Poetry (2008), a performance and installation for which Backström summons the character of a suburban housewife in the 1950s as a way to think through what forms of resistance can be developed now to evade the over romanticized “revolutionary” rhetoric of 1968 that permeates our media culture today. Both the poetry performance and the pottery recall the raw surfaces of post-war Brutalist architecture, but also embed some of the hopeful language that emerged in the same era as a consequence of the establishment of the United Nations. Asserting a sculptural presence to the predominantly conceptual tone of the show, this installation weaves through the entire gallery, to be confronted by Kaltenbach’s compact but heavy (175lb steel) time capsule, Open Before My Retrospective at MOMA in NY, and inverted by Torres’ black and white photographs; He is a cowboy, my father… (2009), that portrays a man throwing a large rock high up into the air. Fia Backström was born in Sweden and based in New York City. 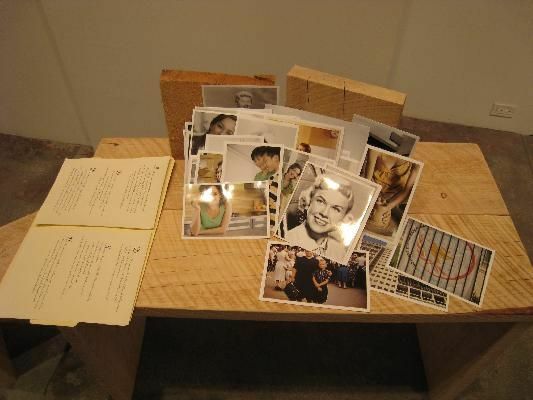 Recent solo projects and exhibitions have been presented in New York at the 2008 Whitney Biennial, White Columns, The Kitchen, and Andrew Kreps Gallery; the Western Front and The Apartment in Vancouver; Wilkinson Gallery in London; and in Stockholm at Marabouparken. 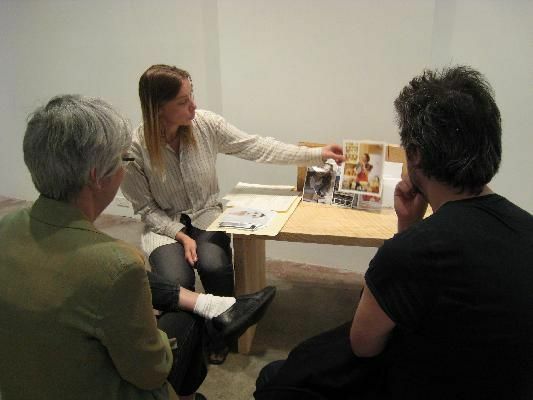 Her writing has recently been published in Pacemaker, Artforum, Art Lies, and Art on Paper and by North Drive Press. Mario Garcia Torres was born in Mexico and based in Los Angeles. Recent solo exhibitions have been presented at the MATRIX, Berkeley Art Museum; Jan Mott, Brussels; Jeu de Paume, Paris; White Cube, London; Sora Gallery, Tokyo; Stedelijk Museum, Amsterdam; Kadist Art Foundation, Paris; The Museum of Modern Art, Syros; and Galeria Elba Benitez, Madrid. He was the winner of the Cartier Award in conjunction with the Frieze Art Fair in 2007. Stephen Kaltenbach was born in America and based in Davis. 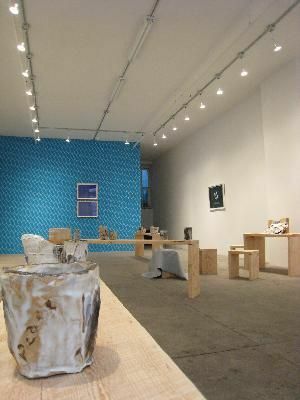 Recent solo exhibitions have been presented at Verge Gallery, Sacramento; Another Year in L.A., Los Angeles; Marzona Sculpture Park, Verzegnis; Konrad Fischer, Dusseldorf; and Lawrence Markey Gallery, New York. In 1969 he had solo exhibitions at the Whitney Museum and San Francisco Museum of Modern Art. He was included in “Information” at the Museum of Modern Art, New York in 1970; “When Attitudes Become Form” at Kunsthalle Bern in Switzerland, “March” at Seth Siegelaub, New York, and “Nine at Leo Castelli” at the Castelli Warehouse in 1969.